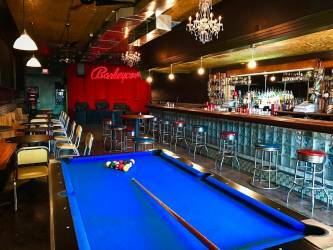 Established in 1999, Barleycorn's is a nationally revered bar and live music venue. Musicians and bands of all sizes, notoriety, and genre travel near and far to take the stage at Barleycorns. We have a great sound system and a large stage. It's a great place to play if you're a band or to watch a show if you are a fan. Along with great live music, we also have open mic nights, bar trivia, karaoke, comedy, whiskey tastings, and daily drink specials.